Pyotr (Peter) Ilyich Tchaikovsky (Russian: Пётр Ильич Чайкoвский, Pjotr Il’ič Čajkovskij; (April 25, 1840—November 6, 1893 by the Julian calendar or May 7, 1840 — October 25, 1893 by the Gregorian calendar), was a Russian composer of the Romantic era. Tchaikovsky is one of the world's most renowned classical music composers, known for his distinctly Russian character as well as for his rich harmonies and stirring melodies. His talent was perhaps too heterogeneous and his stylistic skills overly versatile, which spurred complaints that his music was either too Russian or too European, while it was effectively both; he integrated Russian folk melodies with Western European melodies. 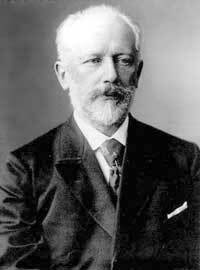 Tchaikovsky's name is most frequently associated with Swan Lake, Nutcracker, and Capriccio Italien. His personal life was troubled. 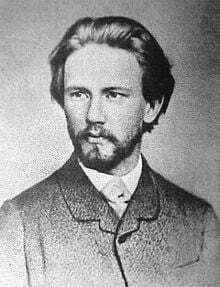 Tchaikovsky was evidently a homosexual, who consented to marry an ardent admirer and student largely to satisfy societal conventions; the marriage did not survive a month. The only woman he built a strong relationship with was his benefactress, Nadezhda von Meck, who admired and subsidized him for years, though the two never physically met. The composer's lifestyle added to the turbulence and melancholia that was reflected in his works. Tchaikovsky was not simply tormented, but also deeply in touch with beauty and deep emotion. He gave himself to his art and placed it above the twists and turns of his own existence. By continually prompting his audiences to stretch their likings beyond the familiar and easily acceptable, he provided a glimpse of the stage that had not yet been opened—when individuals could go beyond their nationalistic tendencies to embrace the world. His musical rendering of this 'premature' vision was behind the composer's uniqueness and brilliance. Tchaikovsky died in 1893 during the cholera epidemic. His death has conventionally been attributed to cholera, although some recent theories suggest the possibly of suicide through arsenic poisoning. Though a brilliant composer, his life was riddled with sadness. Pyotr Tchaikovsky was born in Votkinsk, a small town in the Vyatka Guberniya, now Udmurtia (a sovereign republic within the Russian Federation) to a mining engineer in the government mines, who had the rank of major-general, and the second of his three wives, Alexandra, a Russian woman of French ancestry. He was some ten years senior of his dramatist, librettist, and translator brother Modest Ilyich Tchaikovsky. The family name came from his Kazakh great-grandfather, who could imitate the call of a seagull (a “tchaika” - hence the name Tchaikovsky). However, the family origins may have been partly Polish, as Tchaikovsky suggested in a letter to his benefactress Madame von Meck. The family enjoyed music and listened to Mozart, Rossini, Bellini, and Donizetti played by a large musical box called orchestrion. Tchaikovsky noted later that he was fortunate not to have been brought up in a very musical family that would spoil him with music imitating Beethoven. He received piano lessons from a freed serf, beginning at the age of five, and within a few months he was already proficient in Friedrich Kalkbrenner's composition Le Fou. In 1850, Tchaikovsky's father was appointed director of the St Petersburg Technological Institute. There the young Tchaikovsky obtained an excellent general education at the School of Jurisprudence and refined his piano skills under the guidance of the director of the music library. He made an acquaintance of the Italian master Luigi Piccioli, who influenced the young man away from German music and encouraged the love of Rossini, Bellini, and Donizetti, whom he had listened to as a child. The father encouraged the son's interest in music by funding studies with Rudolph Kündinger, a well-known piano teacher from Nuremberg, who helped spark the bond with German music in the composer as well as a lifelong affinity with Mozart. When his mother died of cholera in 1854, the 14-year-old composed a waltz in her memory. Tchaikovsky left school in 1858 and received employment as an under-secretary at the Ministry of Justice at the time when the Ministry was drafting legislation for emancipation of the serfs and implementation of various reforms. The atmosphere was one of intellectual excitement, yet he wrote in a letter to his sister that he had hoped to obtain a different post with higher income and fewer duties. He soon joined the Ministry's choral group. The cultural and musical life of St. Petersburg was rich, and he found many friends there, among them the openly homosexual poet Alexei Apukhtin and a middle-aged singing teacher who dyed his hair and wore rouge. In 1861, he befriended a fellow civil servant who had studied with Nikolai Zaremba, who urged him to resign his job and continue in the studies of music. Tchaikovsky was not prepared to give up secure income but he at least agreed to take lessons in musical theory with Zaremba. The following year, when Zaremba joined the faculty of the new St Petersburg Conservatory, Tchaikovsky followed his teacher and enrolled but did not give up his post at the ministry before his father consented to finance his further studies. From 1862 to 1865, Tchaikovsky studied harmony, counterpoint and the fugue with Zaremba, and instrumentation and composition under the director and founder of the Conservatory, Anton Rubinstein. However, neither Rubinstein nor Cesar Cui appreciated his graduation cantata Ode to Joy. After graduation, Anton Rubinstein's younger brother Nikolai Grigoryevich Rubinstein approached Tchaikovsky with an offer of the post of the professor of harmony, composition, and the history of music, which he gladly accepted, in part because his father had retired and gambled away his property. For the next ten years Tchaikovsky taught and composed, but the former turned out taxing and led to a nervous breakdown in 1877. After a yearlong sabbatical, he attempted to resume teaching but retired soon after. He spent some time in Italy and Switzerland until he eventually took residence with his sister, who had an estate just outside Kiev, the Ukraine. Here Tchaikovsky took up orchestral conducting and worked on controlling his stage fright until he was able to conduct his works on a regular basis. The year 1891 saw Tchaikovsky's tour of America, where he conducted performances of his compositions. On May 5, he conducted the New York Music Society's orchestra that was performing his Marche Solennelle on the opening night of New York's Carnegie Hall. 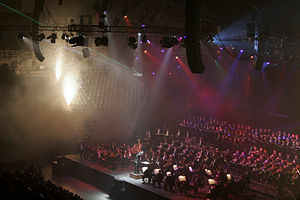 That evening was followed by subsequent performances of his Third Suite on May 7, and the a cappella choruses Pater Noster and Legend on May 8. Also played were his Piano Concerto No. 1 and Serenade for Strings. Just nine days after the first performance of his Symphony No. 6, Pathétique, in 1893, in Saint Petersburg, Tchaikovsky died. Musicologists Milton Cross and David Ewen believe that he consciously wrote his Sixth Symphony as his own Requiem. In the first movement, the rapidly progressing evolution of the transformed first theme suddenly "shifts into neutral" in the strings, and a rather quiet, harmonized chorale emerges in the trombones. The trombone theme bears no resemblance to the theme that precedes or follows it. It appears to be a musical "non sequitur," an anomaly. In fact that is taken from the Russian Orthodox Mass for the Dead, in which it is sung to the words: "And may his soul rest with the souls of all the saints." He was interred in Tikhvin Cemetery at the Alexander Nevsky Monastery in Saint Petersburg. Until recently it had been assumed that Tchaikovsky died of cholera after drinking contaminated water in a restaurant, well aware of the risk of drinking unboiled water during a cholera epidemic. However, a speculative theory published in 1980 by Aleksandra Orlova deconstructs his death as a suicide by ingestion of small doses of arsenic driven by a blackmail scheme over his homosexuality. Both cholera and arsenic poisoning show similar symptoms; the arsenic was to have silenced the suicidal theories fed by allegations that his brother Modest, also a homosexual, helped conspire to keep the secret, that there were wrong dates on the death certificate, conflicting testimonies of Modest and the physician about the time of the composer's death, as well as evidence that the deathbed sheets were being burned. Rimsky-Korsakov's autobiography speaks about people at Tchaikovsky's funeral kissing him on the face although he had died of a highly contagious disease. The Russian authorities deleted these passages from subsequent editions of the book. Tchaikovsky was tall, distinguished and elegant, yet had a disastrous marriage, an irregular relationship with a patroness, an indulgence for alcohol, and fondness for young boys. His exhibitionism in music was regarded as vulgar in his lifetime, yet his popularity confounded experts' opinions and Tchaikovsky remains today one of the most popular composers in concert performance and on record. One of the two women with a profound impact on his life was his conservatory student Antonina Miliukova, a neurotic woman who fell on her knees in adoration during her first interview with the master. She flooded him with passionate letters just at that point in his life when he had made up his mind to marry whoever would desire him, and so the bizarre relationship culminated in a hasty marriage on July 18, 1877. He did not even remember her from his classes and confessed in a letter to his brother that there was no love between them but he did take advantage of Antonina's infatuation to quell the rumors that he was homosexual. The regrets began as immediately as the honeymoon and eventually drove him to immersing himself into the freezing Moscow River two weeks after the wedding. He then left Russia for a yearlong journey around Europe. Back at home, his internal torments intensified, bordering on lunacy. His wife never saw him again but she did receive a regular allowance, and the marriage was never officially dissolved. The one place Tchaikovsky found delightful and inspiring was a village in the Ukraine where his beloved sister Sasha lived with her husband. He would visit them in the summer and take in the beauty of the local woods and fields, pick violets and lily-of-the-valley, and visit the village fair. The early version of Swan Lake for the children was conceived in these surroundings. 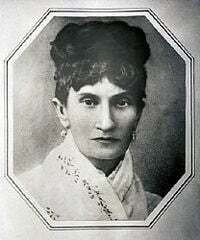 A far more influential woman in his life was a wealthy widow and musical dilettante, Nadezhda von Meck, with whom he exchanged over 1,200 letters between 1877 and 1890. At her insistence they never met and did not converse when their paths crossed by chance. She was interested in his musical career and admired his music, a token of which was an annual sum of 6,000 rubles. The relationship evolved into love, and Tchaikovsky spoke to her freely about his innermost feelings and aspirations. However, after 13 years she ended the relationship abruptly, claiming bankruptcy. Some attribute this to the social gap between them and her love of her children, which she would not jeopardize by any means. Tchaikovsky sent her an anxious letter pleading for her continued friendship, assuring her that he was no longer in need of her finances; the letter went unanswered. He discovered that she had not suffered any reverse in fortune. The two were related by marriage in their families — one of her sons, Nikolay, was married to Tchaikovsky's niece Anna Davydova. Tchaikovsky's music, drawing on events in his life, forms part of the canon of the Romantic period. The early works were infused with Russian nationalism, as is suggested by the titles of the compositions dating from this period, such as Little Russian, The Voyevoda, The Oprichnik, and Vakula the Smith, which adopted Russian folk songs and dances. The national element is still palpable in the first act of Eugene Onegin; afterward he began dissociating from folk sources toward a more cosmopolitan style and German Romanticism. With his horizon expanded, he set out to supplement the Russian music with the elements found in the Western world: elegance, sophistication, and good breeding. This naturally met with dogged resistance on the part of the die-hard nationalists, in whose eyes he negated the principles for which they stood. Paradoxically, it was Tchaikovsky who incited interest in Russian music in the Western world, and he embodies Russian music, including the national tendency toward brooding and melancholia, which dominated his moods. As a result of his stylistic evolution, an interesting phenomenon occurred: Russian contemporaries attacked him for being too European, while Europeans criticized him as too Russian—his sentimentality that tends to slide towards bathos; pathos and pessimism that sometimes erupt into hysteria, and melancholia bordering on self-pity. Although these are credible accusations to a degree, these ‘despicable’ tools enabled him to convey beauty in sadness. Richard Anthony Leonard characterized Tchaikovsky’s music as: “expressive and communicative in the highest degree. That it is also comparatively easy to absorb and appreciate should be accounted among its virtues instead of its faults." And for those who found his Russian spirit too intense, Tchaikovsky himself had a sharp answer: "As to the Russian element in my music generally, its melodic and harmonic relation to folk music—I grew up in a quiet place and was drenched from the earliest childhood with the wonderful beauty of Russian popular songs. I am, therefore, passionately devoted to every expression of the Russian spirit. In brief, I am a Russian, through and through." Although Tchaikovsky is well known for his ballets, only the last two were appreciated by his contemporaries. His first ballet was first performed (with some omissions) at the Bolshoi Theatre in Moscow in 1877, with a fiasco, as he was forced to delete some passages that were then replaced with inferior ones. It was only in 1895, when the original deleted parts were restored in a revival by choreographers Marius Petipa and Lev Ivanov that the ballet was recognized for its eminence. Tchaikovsky considered this one of his best works. It was commissioned by the director of the Imperial Theatres Ivan Vsevolozhsky and first performed in January 1890, at the Mariinsky Theatre in Saint Petersburg. He was less satisfied with this, his last, ballet, likewise commissioned by Vsevolozhsky, and he worked on it reluctantly. It makes use of celesta as the solo instrument in the "Dance of the Sugar Plum Fairy" in Act II, an instrument also employed in The Voyevoda. This was the only ballet from which Tchaikovsky himself derived a suite (the suites that followed the other ballets were devised by other composers). The Nutcracker Suite is often mistaken for the ballet, but it consists of only eight selections from the score intended for concert performance. Tchaikovsky completed ten operas, of which one has been largely mislaid and the other exists in two disparate versions. The Western audiences find most delight in Eugene Onegin and The Queen of Spades. Tchaikovsky destroyed the score, which was reconstructed from sketches and orchestral parts posthumously. This was never completed. Tchaikovsky revised its Second Symphony twice but did not alter the second movement. Only a march sequence saw the light of day; the rest he destroyed. Premiered in March 1879 at the Moscow Conservatory. Based on the novel in verse by Alexander Pushkin, which satirizes Russia’s Europeanized aristocracy and is more of an introspection and psychological insight, drawing on the lyricism of the poem rather than theatrical effects an opera lends itself to. Tchaikovsky’s comment: “It is true that the work is deficient in theatrical opportunities; but the wealth of poetry, the humanity, and the simplicity of the story… will compensate for what is lacking in other respects.”  This is why he made Tatiana, not Onegin, the principal character, as that allowed him to develop the romantic aspect of the poem. Initially belittled as monotonous, it is now recognized as his operatic masterwork. 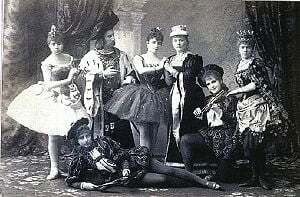 First performed in Saint Petersburg in 1892. Tchaikovsky's earlier symphonies are generally optimistic works of a nationalist character; the latter are more dramatic, particularly The Fourth, Fifth, and Sixth, recognized for the uniqueness of their format. He also left behind four orchestral suites originally intended as a "symphony" but was persuaded to alter the title. Inspired by Byron's poem "Manfred"
Written while he was haunted by fears of the work’s failure, having lost confidence in his musical prowess. The Fifth is interpreted as a story of the Fate and labeled by critics as his most unified symphony in purpose and design. Composed amid the torment of depression; considered as the most pessimistic and dramatic of his pieces. He considered it the best and most sincere work he had written and was very satisfied and proud of it. Being the most tragic piece he ever wrote, originally it was to be entitled The Program Symphony, which was interpreted by some as an effort at his own requiem. He confessed that he repeatedly burst into tears when writing it. This is his greatest symphony and his most popular, as well as the most celebrated symphony in Russian music and possibly in Romantic music. One of the most popular piano concertos ever written, dedicated to the pianist Nikolai Grigoryevich Rubinstein. When he played it for Rubinstein in an empty classroom in the Conservatory, Rubinstein was silent, and when the performance ended, he told Tchaikovsky that it was worthless and unplayable for its commonplace passages that were beyond improvement, for its triviality and vulgarity, and for borrowing from other composers and sources. Tchaikovsky's response was, "I shall not change a single note, and I shall publish the concerto as it is now. And this, indeed, I did." Hans von Bülow introduced it to the world in Boston, Massachusetts in 1875, with a phenomenal success. Rubinstein later admitted his error of judgment and included the work in his repertoire. This was composed in less than a month in 1878 but its first performance was delayed until 1881 because Leopold Auer, the violinist to whom Tchaikovsky had intended to dedicate it, refused to perform it for its technical difficulty. Austrian violinist Adolf Brodsky later played it to a public that was apathetic due to the violin’s out-of-fashion status. It is presently one of the most popular concertos for the violin. Written on suggestion from Balakirev. Balakirev was not satisfied with its first version and suggested numerous changes; after the revision, he declared that it was Tchaikovsky’s best work. Later Tchaikovsky revised it again, this is the version enjoyed by modern audiences. Its melodies are used in movies and commercials. Written for a benefit concert for Serbian soldiers wounded in the war against Turkey, it expresses his sympathies for the Slavs and predicts their ultimate victory. The melody borrows from an old Serbian song and the Russian National Anthem. Commonly referenced in cartoons, commercials, and the media. A traditional caprice (capriccio) in Italian style. Tchaikovsky stayed in Italy from the late 1870s to early 1880s and during the various festivals he heard many themes featured in the piece. It has a lighter character than many of his works, even "bouncy" in places, and is often performed today in addition to the 1812 Overture. The title is a linguistic hybrid: it contains an Italian word ("Capriccio") and a French word ("Italien"). A fully Italian version would be Capriccio Italiano; a fully French version would be Caprice Italien. The first movement, in the form of a sonatina, was a homage to Mozart. The second movement is a waltz, followed by an elegy and a spirited Russian finale, "Tema Russo." Written reluctantly to commemorate the Russian victory over Napoleon in the Napoleonic Wars. Known for its traditional Russian themes, such as the old Tsarist National Anthem, as well as its triumphant and bombastic coda at the end, which makes use of 16 cannon shots and a chorus of church bells. The mayor of Moscow commissioned this piece for performance in May 1883 at the coronation of Alexander III. Incidental music for Alexander Ostrovsky's play of the same name. Incidental music for Shakespeare's play. Reflects his adoration of Mozart and Baroque music. Commissioned by Madame von Meck as a chamber music work for her household trio, including pianist Claude Debussy. At the same time, it is an elegy on the death of Nikolai Rubinstein. Tchaikovsky’s song-writing methods came under the ax of his fellow composers and contemporaries for altering the text of the songs to suit his melody, inadequacy of his musical declamation, carelessness, and outdated techniques. "The Five"'s Cesar Cui was at the helm of these criticisms, and Tchaikovsky's dismissal was very insightful: "Absolute accuracy of musical declamation is a negative quality, and its importance should not be exaggerated. What does the repetition of words, even of whole sentences, matter? There are cases where such repetitions are completely natural and in harmony with reality. Under the influence of strong emotion a person repeats one and the same exclamation and sentence very often…. But even if that never happened in real life, I should feel no embarrassment in impudently turning my back on 'real' truth in favor of 'artistic' truth." Edwin Evans found his melodies a blend of two cultures: Teutonic and Slavonic, as his melodies are more emotional than those found in songs originating in Germany and express more of the physical than the intellectual beauty. Tchaikovsky was an outstanding lyricist, well versed in a plethora of styles, moods, and atmosphere. ↑ Roland Wiley, "Tchaikovsky, Pyotr Il′yich, §6(ii): Years of valediction, 1889–93: The last symphony"; Works: solo instrument and orchestra; Works: orchestral, Grove Music Online (Accessed 07 February 2006),  (subscription required). ↑ David Brown, Tchaikovsky: the Final Years (1885-1893). (New York: W. W. Norton, 1991): 388-391, 497. ↑ Almut Haas.Classical Music Pages (1996) .Retrieved October 7, 2007. ↑ Edward Garden. Comprehensive Calendar. .Retrieved October 7, 2007. Paine, John Knowles, Theodore Thomas and Karl Klauser (Eds.) Famous Composers and Their Works. J.B. Millet Company, 1891. IMSLP - International Music Score Library Project's Tchaikovsky page. History of "Peter Ilyich Tchaikovsky"
This page was last modified on 16 March 2019, at 17:04.